The Living Room is the focal point to every home. This is why living room furniture should be affordable to create an enjoyable atmosphere. Pakistan Furniture has a great selection of living room furniture for you to choose from. Our huge selection ensures that your living room furniture will match your existing decoration and enhance the look of your living room. 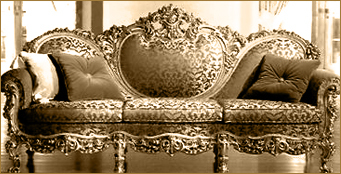 As with any furniture, living room furniture must reflect your personal beliefs and lifestyle. There are a few basics that most people will need for the living room including a couch, some comfortable chairs, tables, and shelve or storage. We have a wide selection of discount furniture to make the process of styling your living room affordable. It is important to consider several things when buying living room furniture. Often this room will not only be used by you, but by the other members of your household and by family and friends passing through. Therefore this room should be comfortable and stylish. Avoid synthetics - go natural with your choice of living room furniture. Whether you need an entertainment center, occasional tables, or any other living room furniture you can find it at Pakistan Furniture. Browse through our Site to start shopping for your new living room furniture today.